Spring Touch Lawn & Pest Control, based in St. Peter, Minn., is expanding its brand and is registered to franchise in most of the U.S.
“Our goal is to take the headache out of running your business and replace it with the freedom to just do what you do best, your job,” said Marv Kottke, founder and CEO. 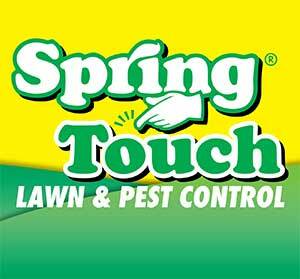 Spring Touch Lawn & Pest Control services more than 10,000 customers in a 60-mile radius in and around southern Minnesota. Founded in 1973, the family-owned and operated company offers lawn care and pest control products and services to residential and commercial customers. Its services include granular fertilizing, weed control, aeration, seeding, lawn disease control, turf insect control, mosquito control, flea and tick control, perimeter insect control, irrigation installation, maintenance and repair. Spring Touch offers franchisees a total of 12 revenue opportunities. The franchise offering features a business concept in the lawn care/landscape services industry with an “affordable entry threshold,” according to Spring Touch. There are special discounts and reduced fees for veterans. As part of the package, the company provides marketing resources, a one-step supply chain for most franchise needs, proven sales methods, access to call center and accounting services, routing and business software, collection services, truck wraps, uniforms, innovative marketing and more.